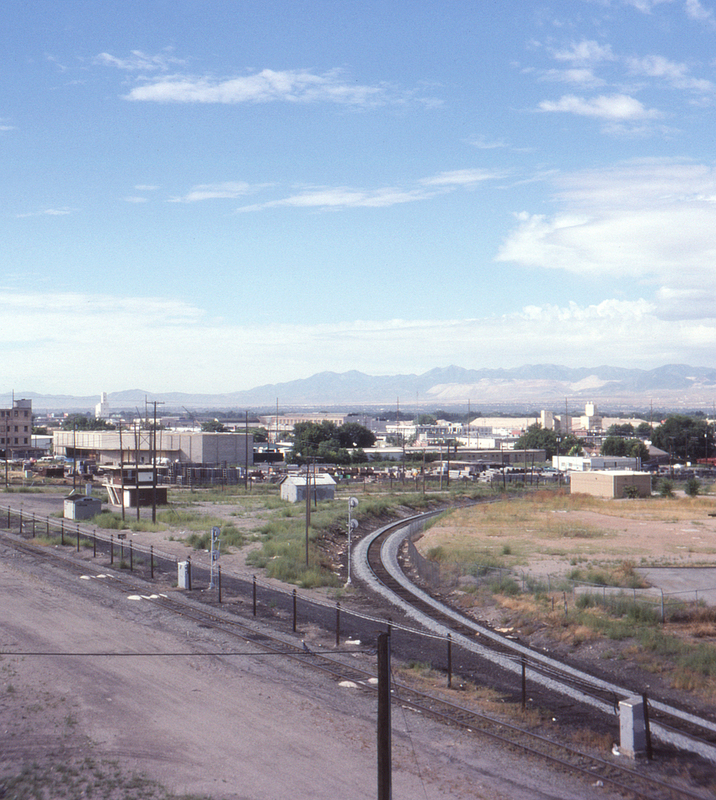 The passage of almost forty years has brought changes to Grant Tower interlocking, the Los Angeles & Salt Lake junction behind the Union Pacific's Salt Lake City depot. Most noticeably, the Denver & Rio Grande's line from Salt Lake City to Ogden is goneapparently recently, for not only is the old cinder ballast freshly exposed but the former D&RGW searchlight signal is still in place. The track in the foreground is the UP's line (former Oregon Short Line) via Provo and Nephi to Lynndyl, where it will re-connect with the LA&SL line to Las Vegas and Los Angeles. This page posted 9/1/2018. Text and photo ©2018 Lamont Downs.